The new Tokina AT-X 116 PRO DX is an ultra-wide angle lens with a fast f/2.8 aperture for better photography in low-light situations. Many photojournalists consider having an f/2.8 aperture a must for any lens in their camera bag. Tokina AT-X 116 PRO DX AF 11-16mm f2.8 is compatible with all APS-C Canon EOS cameras. 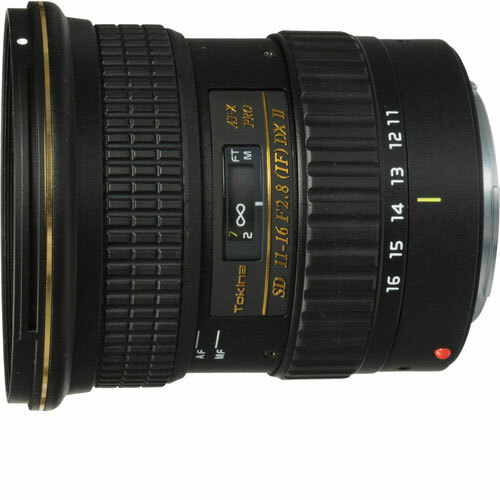 Tokina AT-X 116 PRO DX AF 11-16mm f2.8 is available for rent or hire from RENTaCAM Sydney.